Coscinodiscus is a diatom, which is a type of phytoplankton. 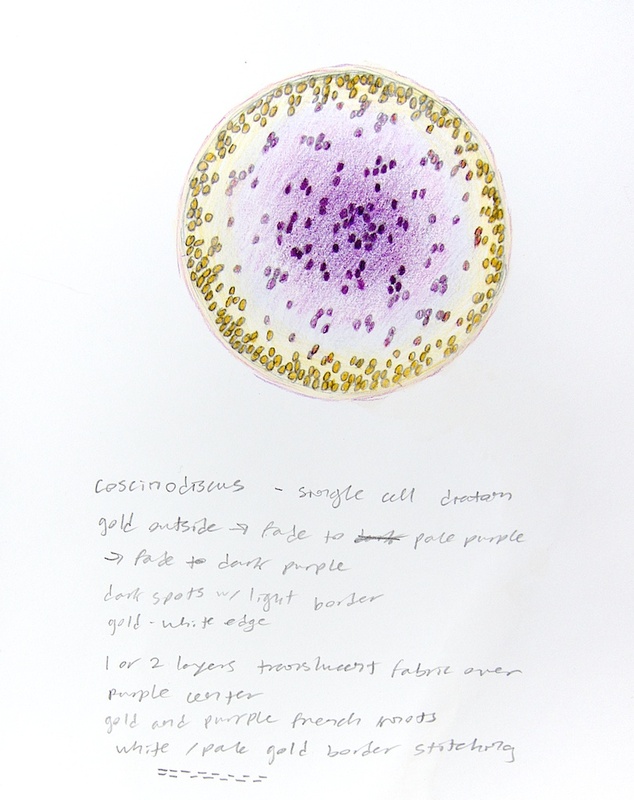 I used a microscope photo to make this drawing and the little blobs inside the cell are chloroplasts, which are actually green, but in the backlit photo they showed up iridescent purple and yellow. 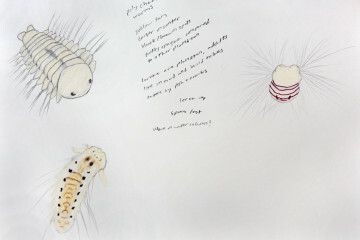 This page is part finished drawing, part visual notetaking, and part planning process for other possible plankton projects. 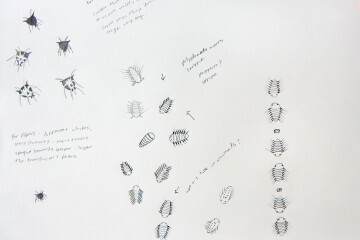 It also has a little element of old natural history studies to it, which is something I love to look at and emulate. 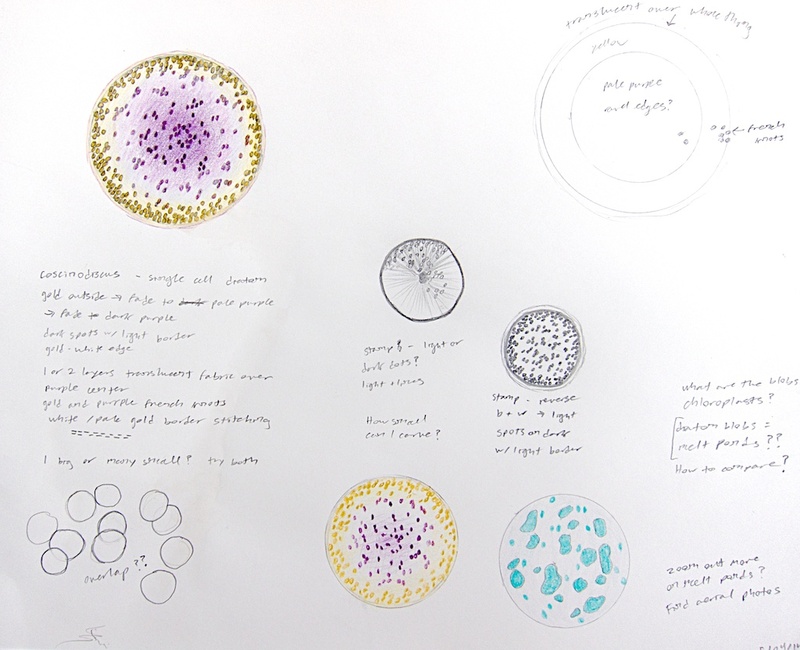 Hi Chelsea, this is a really cool drawing – I love how you can represent any kind of phytoplankton in a unique and eye-catching way There’s something you mentioned in the description that sparked my interest. What is the element of old natural history this piece of art contains? It sounds fascinating, and I’d like to hear more about it! 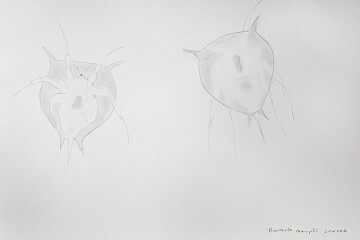 Also, thank you for teaching my class, it was a lot of fun working with you on the phytoplankton prints. I was able to see a hidden connection between art and science that I hadn’t thought about before.